Another winter and another round of price rises. The Office for National Statistics blames most of the inflation for December on energy and food costs; consumer groups blame big energy companies and the Government is happy to chip in. Same old, same old, you could say – but not this time. Firstly, this isn’t temporary but is the new norm – the era of cheap energy is indeed over. Second, while in the past price rises have been driven by the cost of commodities, mainly the price of oil (which gas and to a great extent electricity are linked to), the future could be a whole different ball game. When commodity prices drove energy bills, consumers would blame energy companies, energy companies would blame the oil market – and of course the oil market would ‘blame’ the war in Iraq, in Libya, in Syria, the demand for energy in China, Fukushima and so on. But in future, the price of energy will increasingly be pushed around by ‘other’ or ‘third party’ charges: network charges, renewable subsidy, energy efficiency and social tariffs. Between winter 2010/11 and winter 2013/14 such charges will have risen already by about £100. Blaming the commodity markets and the big energy companies won’t suffice – the role of smaller players, regulators and government will come to the fore. Basically, the cost of decarbonisation will begin to bite. At the same time though, prices may end up less volatile as the ‘market driven’ chunk of energy costs becomes smaller. Energy managers might at least be able to use this to forecast their future costs more accurately. And third party charge-influenced price rises will start sooner than you think. Bills will go up again in 2013 at some point, likely before next winter and probably after a round of small price reductions. I would expect for the first time people won’t point the finger at wholesale costs but instead begin to refocus the debate on the non-energy components of prices: which leads naturally on to energy policy. Current policy dates back to the boom years before 2008 when we, as a society, thought we could pay for decarbonisation. Several years later the economic outlook is much less rosy – so are we still happy to pay for a low carbon economy? 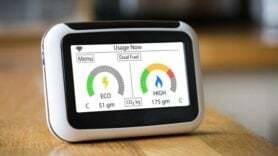 The only consolation for energy companies, for DECC, Ofgem and the energy industry is that in the longer term – beyond next winter – worries about rising energy bills will be superseded by worries about rising prices for pretty much anything else. That’s because inflation will inevitably and inexorably pick up once the economy starts to grow again. Though that will be no consolation for consumers. Filippo Gaddo is an independent economic consultant who previously worked at Ernst & Young and the Department of Trade and Industry before it was replaced by BIS.